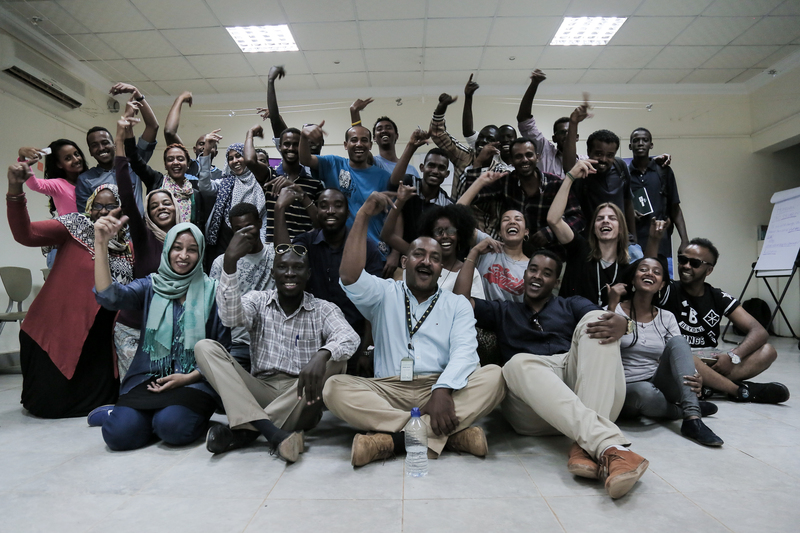 Lyrix Organix was invited by The British Council to design and deliver a workshop programme in Khartoum, Sudan, as part of the Shakespeare Lives 400 year anniversary celebrations. 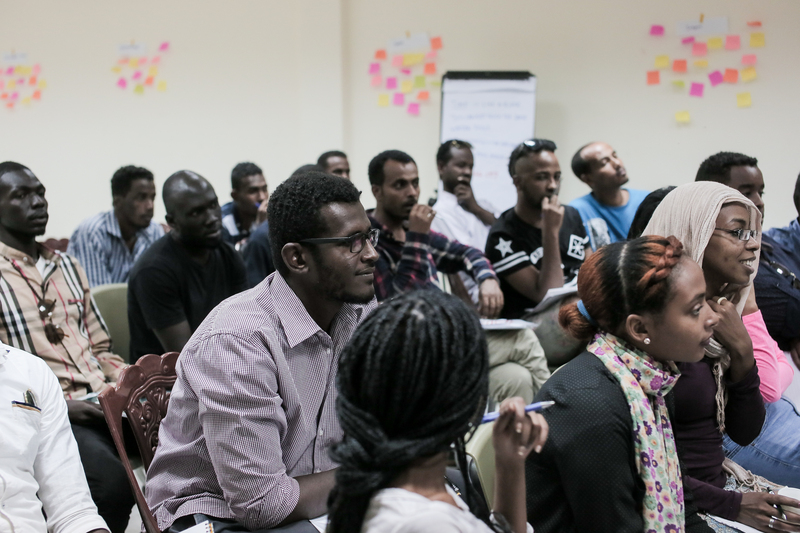 The 7-day programme hosted 28 young artists from the Horn of Africa – Ethiopia, South Sudan and Sudan. 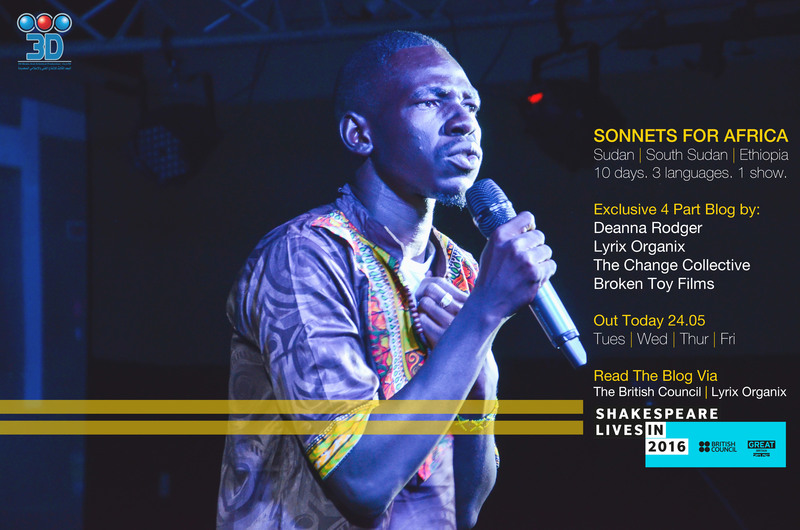 The participants began with a ‘poetry bootcamp’ that used Shakespeare’s sonnets as a gateway to explore their individual, and Africa’s, identity. This was followed by a series of intense performance coaching workshops. The programme culminated in a politically-charged and inspirational 3 hour live show at Corinthia Hotel. 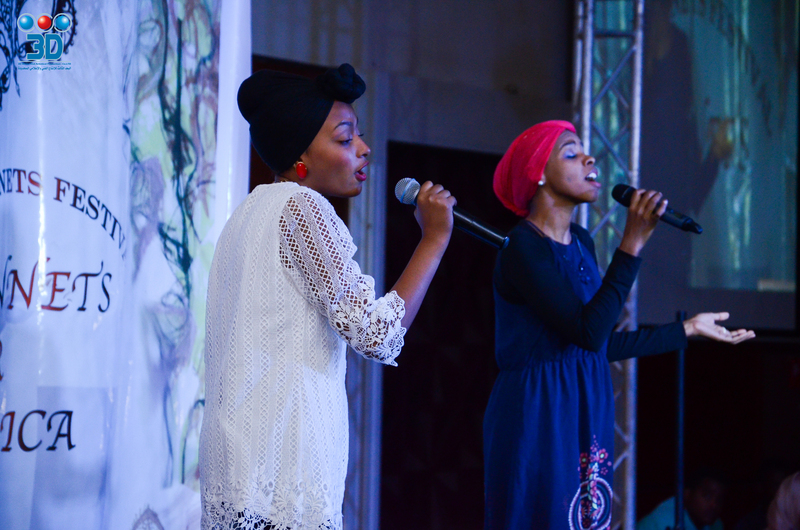 It featured poetry and music, solo and groups, across 3 stages, a balcony and immersed within the 800-strong audience. The workshops had a unique design, led by 3 expert facilitators (including poet Deanna Rodger) in 3 disciplines alongside a filmmaker. Dan Tsu (Director, Lyrix Organix) was also special guest on radio station Capital 91.6FM, and delivered a lecture at the DAL Group Excellence Centre. 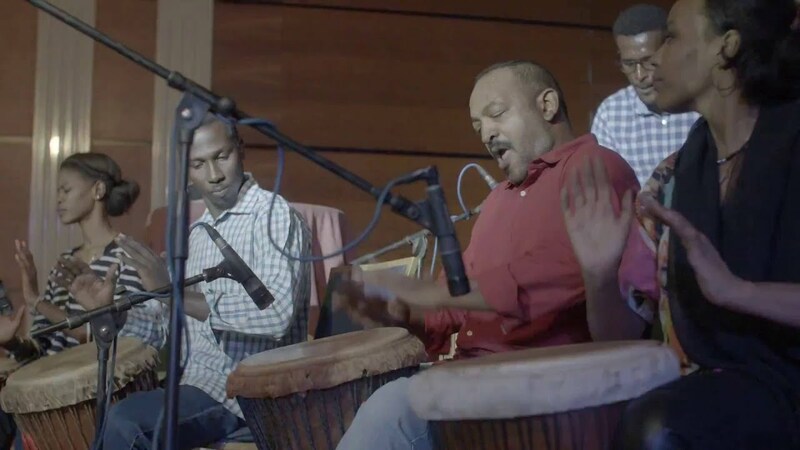 The success of ‘Sonnets for Africa’ led 6 of the ‘African Voices’ to be invited to Brussels, Belgium, to perform at EDD (European Development Days) – a major global development conference. They performed several acclaimed gigs, including European Parliament and closing the conference with the Queen of Belgium.